Barcelona '92 - Olympic Gold 17 days, 16h:24m:58s £3.75 Buy now! 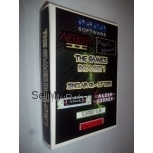 Sega Chess Cartridge Only for Sega Master System from Sega (7069) 27 days, 16h:21m:34s £2.75 Buy now! Arcade Smash Hits (Compilation) 27 days, 18h:43m:07s £13.95 Buy now!